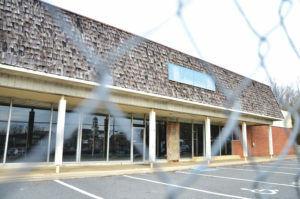 Demolition of the empty building located on 50 W. Salisbury St. in Pittsboro is scheduled to begin this week. The building, which formerly housed a Piggly Wiggly and a PTA Thrift Store, was purchased by the Town of Pittsboro last year to redevelop the property for construction of a new 42,000 sq. ft. town hall. The project, which is expected to have construction costs of approximately $15 million, is necessary to support town services as the town grows, according to Pittsboro Town Manager Bryan Gruesbeck. Pittsboro contracted with DH Griffin to demolish the existing building. As was typical of commercial spaces built at the time 50 W. Salisbury St. was developed, asbestos was used during the construction process. DH Griffin is licensed to handle and dispose of the asbestos. The demolition project is expected to cost $178,650, well below the original estimate of $312,000. Demolition should be completed within a month. Aside from the demolition, the project has completed the Phase I Pre Design which outlined what functions will take place in the new building as well as preliminary internal and external designs and cost estimates. Pittsboro architect Taylor Hobbs performed the work on the first phase and presented the construction budget to the Pittsboro Board of Commissioners earlier this month. Current tentative designs for new building show four floors and a parking garage with town commissioners approving all suggested alternates, including a card reader security system, roof terrace and LEED certification to the project. The town hall is anticipated to also house some Chatham County offices. 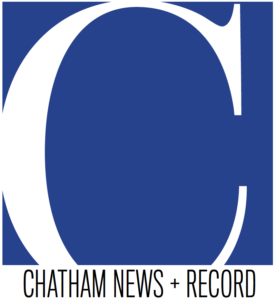 According to Hobbs, the first and third floors of the new town hall will be used by town staff, while the second floor will house the offices of the Chatham County Board of Elections and the fourth floor will be home to the county’s health department. Each floor will span 10,000 square feet, and the parking deck will have 134 spaces with 11 on-street parking spots. An entrance plaza will be constructed along Salisbury Street with access to a separate parking area. Town commissioners will be reviewing a proposal from Hobbs Architects for Phase 2 Design at one of the board’s two upcoming meetings. NextGame Time for UNC-Duke Rematch Set for 6 P.M.
It’s interesting that complete demolition of a building can take around a month and cost upwards of $150,000. This makes me wonder if this is mainly because of the location and type of building or if all demolitions will be that expensive. Either way, I need to find someone to help me demolish a building on a new property I bought so we can consider having a new house built there.